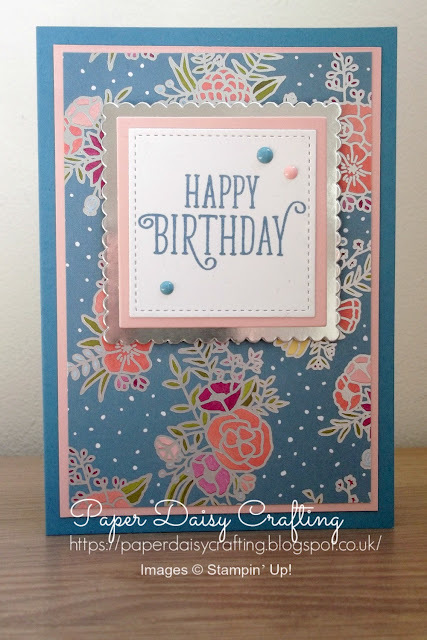 As promised, I'm bringing you another sample of the cards I made when using the Sweet Soiree patterned papers. I think this one is one of my favourites. Once again, a very simple but effective layout. And don't you just love the font used for that greeting from the Happy Birthday Gorgeous set? For this card I just layered up lots of layers. 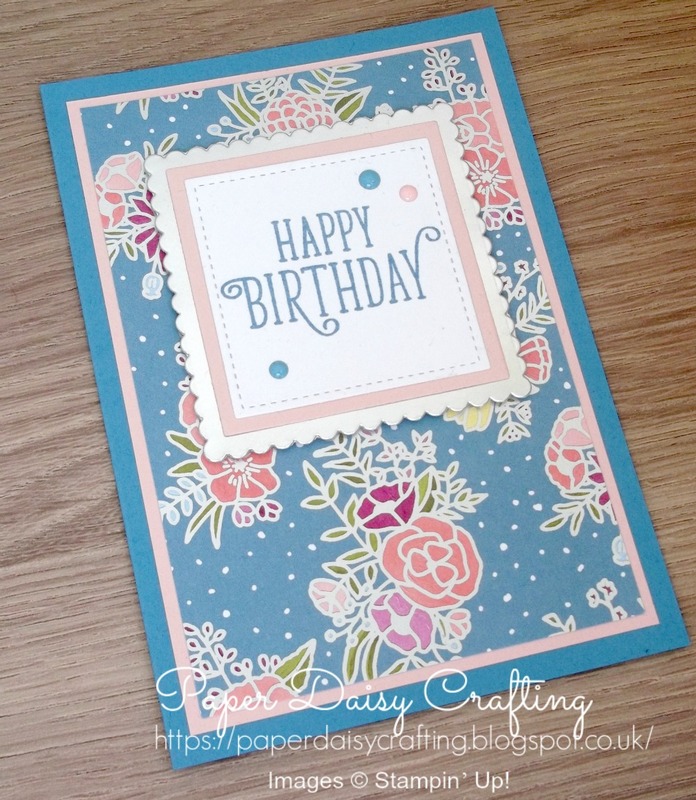 The central panel is built up from die cuts using the Stitched Shapes dies and the Layering Squares set of dies. I've just added a few Enamel Shapes to finish off the card. One more sample in this series to show you tomorrow.